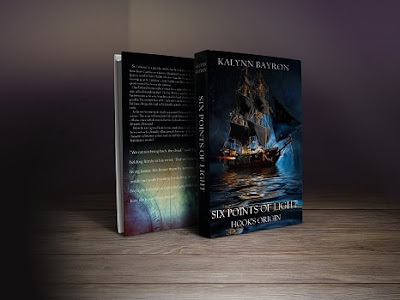 Today we are interviewing Kalynn Bayron, author of the young adult novel, "Six Points of Light: Hook's Origin." I grew up in Anchorage, Alaska. Lots of fishing and snowball fights. I love Alaska but the weather is tough! I still consider it home though. I live in Colorado now, with my husband and our kids. I am a huge Hozier fan and I listened to his album exclusively while I was writing Six Points of Light. I love music and actually studied Opera in college. I'm vegan and I am passionate about animal welfare. Six Points of Light is the origin story of Captain James Hook. So many books and movies focus on Peter (there is a movie coming out soon that focuses on Peter's origins called "Pan") but I wanted to know more about Captain Hook. James Cook is an orphan who has been living at St. Catherine's his entire life. He is sickly, but he is highly intelligent, a lover of books and he's extremely close with Sister Maddie. She raises him and he loves her like a mother. Peter comes to St. Catherine's as a young boy and he and James do not see eye to eye. Peter is disruptive, loud, and a know-it-all. Sister Maddie asks James to take Peter under his wing and the two form a bond. They essentially become brothers. However, Peter is hiding a wealth of secrets that will test their friendship and ultimately set them on a path to become the most bitter of enemies. We learn how James loses his hand, we learn how he came to have a hook in its place, and we learn his motivation for turning on Peter. I think readers will come away with a new understanding and appreciation for Captain Hook. Anyone who loves fairytales will love this book! Also, anyone who loves origin stories will love it. There is a little bit of everything, mystery, romance, action, and even a few magical creatures! What inspired you to write about the early life of Captain James Hook? I have always been fascinated with the villains in fairytales. I have always wanted to know what made them so evil. It didn’t make sense that they would come into the world that way, there had to be a reason. I was watching Once Upon a Time one night in late 2013 and I was so enthralled with the stories of these characters. The show kind of goes back and shows you where they came from and what happened to them. I thought it was great but I wanted to know about the bad guys. After looking into it I couldn’t find anything that answered my questions so I decided to create the story myself. In your novel, James and Peter, who ultimately become archenemies, start out as friends. What made you decide to take this approach to their characters? I think we have all had experiences where we've had a falling out with a friend or family member. Those experiences are what inspired me to have James and Peter start out as friends. I knew that the level of betrayal experienced by James would have to be monumental, and the only way to achieve that was to have them be as close as brothers. Other than Peter and James, are there any other characters readers will recognize in your book? Wendy plays a pivotal role leading into Book 2 in the series. Tigerlilly makes an appearance, but I can assure you she is no damsel in distress. She is a warrior princess and the leader of her tribe. James is my favorite. He is such a complicated character. I really had to put him through the ringer in order to show is true mettle. I love him. He's strong and smart, and he is loyal to a fault. I read allot. I love books. I have read so many that I am sure I've taken on some of the characteristics of my favorite authors but it's not a conscious decision to say "I'm going to write like this person." I just follow my characters wherever they take me. The idea had been floating around in my head for years. I decided to sit down and write it when my dad passed away. I realized that there was no point in putting it off for another day because tomorrow is not promised. I sat down and just started writing. I got about a third of the way through and I realized I had to scrap it and start over. I was writing two different story arcs and was going to have them converge at the end but it became too complicated so I separated the stories and found that I had two books in a series. It worked out well for me! I kept notebooks for each of my main characters with little tidbits about their personalities and physical appearances. I wrote through the first half of the book (after the initial revision) and then outlined the second half of the novel because I was all over the place. It helped me keep things on track and in line. It took me over a year to write it and when I was done I went through two rounds of edits and revisions before having it edited by a professional. I ultimately decided to go with self-publishing because I wanted people to have access to my work but I understood how minute the chances of getting a publisher to pick up my story were. I'm definitely open to traditional publishing but self-publishing gave me so many options. After the final edit I put it on up Amazon, Smashwords and Kobo. I love that I can carry all of my favorite titles around on one device. It's convenient and eBooks are incredibly affordable. However, I'm also a fan of actual books. I love having the book in my hand and physically turning the pages. I love beautiful cover artwork. I love seeing the title on my shelf when I've finished reading it. Those things cannot be replicated with eBooks, but I'd be a fool not to realize that eBooks are the way of the future. I want to put my books in the hands of as many readers as possible! That is always my goal. I want to write engaging, interesting un-put-downable books for my readers because that is what they deserve. Editing is tough. It's hard because in my mind the story is complete. But making sure it's translated onto paper properly can be tough. It's a necessary part of the process. I'm thankful to have material to edit. I'm working on part two in the Six Points of Light Series. It will pick up where Hook's Origin left off. I am also working on book two in the Zero Antigen Series and book two in the Drasal Lands series. 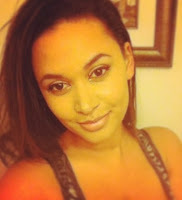 I love to write and my goal is to give my readers something to look forward to after every page turn. I hope I'm doing that! I'd also like to say thank you to anyone who took a chance on me and my writing because I'm just one indie author in a sea of talented authors. It means so much to me that someone would pick up my work and read it. Thank you from the bottom of my heart! She fluttered up quickly and landed on top of one of the fallen clocks. She shook her wings violently dusting the clock with the glowing powder. The clock, still tick tocking in its housing, began to rise up, floating above the ground. James saw the creature draw back just slightly. It lunged forward, jaws gaping, and before James could scream, the floating clock flew into the alligator's open mouth. The creature stopped, a stunned look filled its beady black eyes. The clock was no longer visible in the monster's throat but James heard it ticking as it lunged forward again, catching James' right hand in its mouth, he heard a pop as the bones splintered like dry wood.